Who knew?! April is National Letter Writing Month and I for one am happy to play along! I popped a couple of notes in the mail today. One was a thank you note on my favorite Sugar Paper customized notecards (hot pink envelope!) and another was a bill. But, I’ve learned it’s so unexpected and much more fun to write a little note that accompanies my payment, especially if you know the vendor. 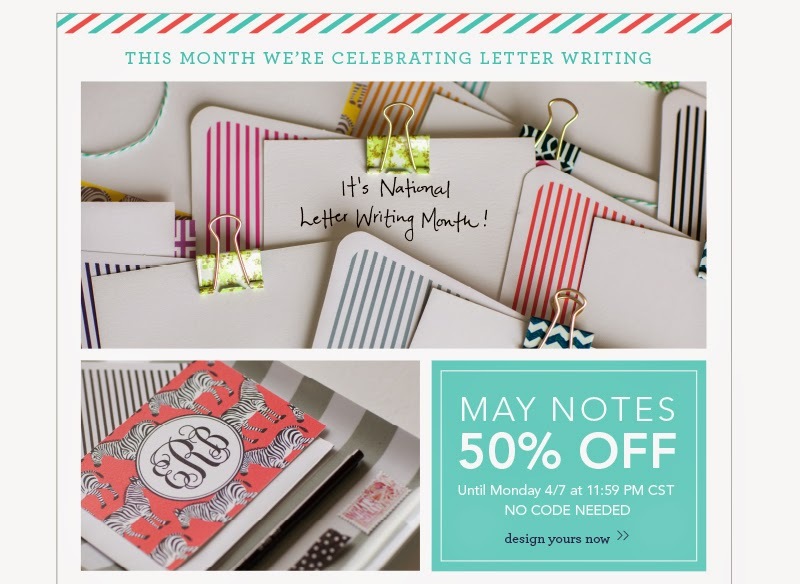 The ever charming producer of affordable, chic stationery, May Designs, is offering 50% off their notecards through next Monday. Get ’em while you can!!! Remember to stock up for upcoming graduations and birthdays. Another small printer, Egg Press, is so excited to encourage you to pick up your pens, they are offering a FREE kit of 4 letterpress cards. 2 from Egg Press and 2 from Hello!Lucky. Click here to learn how you can get them. Each of the cards will have instructions on how your recipient can receive their free kit and so on and so on. Finally, I love a great stamp. It’s like a one inch piece of art and can really set off your letter. Jimi Hendrix, whose music I honestly don’t know well, just came out…and I have to say it does look pretty cool! What else can you get for 49 cents?! So, whether you write 1 letter this month or 30….just know that you’re sending out something positive in the world. Clip an article that someone would like (thanks, Mom! ), write out a recipe, doodle something funny or wax poetic. Sign it, seal it and get it delivered. I promise you’ll make someone’s day! 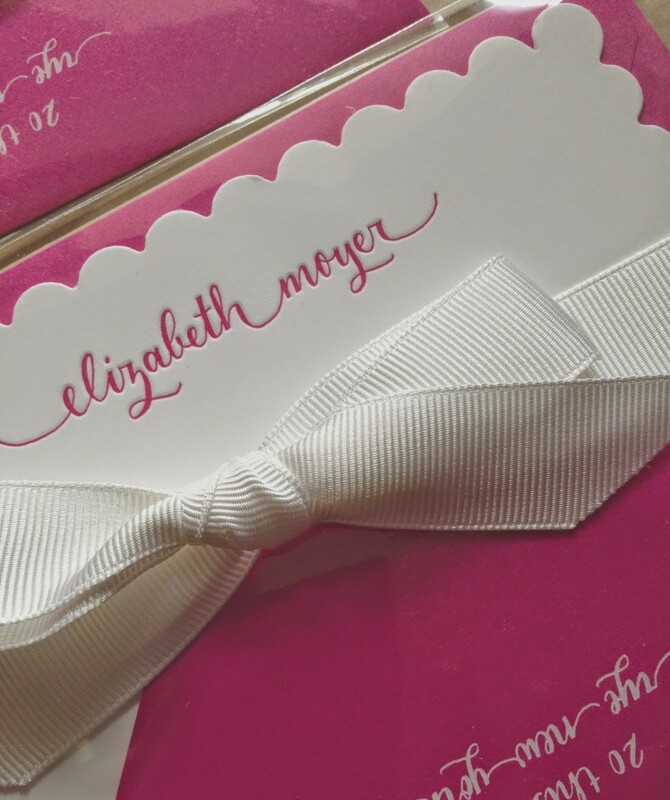 Your thank you cards are so beautiful Elizabeth! Wow, picture perfect! I didn't know this month was national letter writing month…who knew! 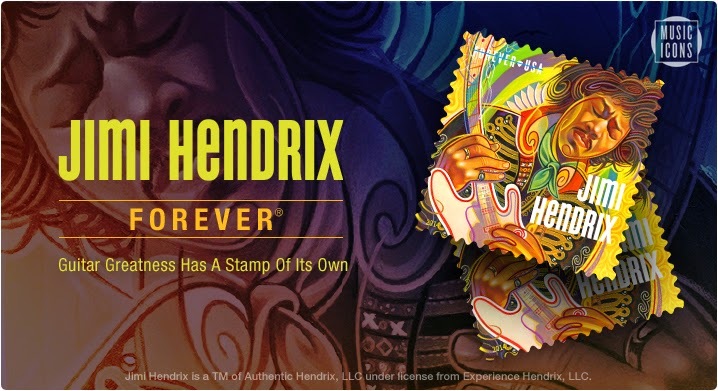 And how great is that stamp….enjoy the sunshine! Thanks for the tips. My best friend and I were actually going to start writing snail mail to each other so this is perfect. And what's better than free stationiary? Part of my Lenten Challenge has been to write letters to those I cherish. It's lovely to think of the stamp as sealing the deal. I have been sending cards to my 93 year old Aunt who was is a Nun and she sends me the most amazing cards. Her penmanship is remarkable. I love all of these, and I do love getting a note or a paper invitation better than an evite! Love it, Elizabeth! I didn't know that April was National Letter Writing month – thanks for sending that bit of information along. The idea of mailing something nice out into the Universe is such a happy one, I'll definitely make a note to take part! I LOVE your letterpresses stationery! I am one a letter written mission myself. I fear that the younger generation doesn't appreciate pen and paper enough. This month was made for you, Elizabeth! You remind us that perhaps some belated thank yous should be mailed asap… Fun stamps are the best!